There are roughly 400 different breeds of domesticated horses. From miniature horses and ponies to immense draft horses, these mighty mammals span the spectrum of size and capability. The Shire horse reigns as the largest member of the equine family, and the Falabella miniature horse has earned the opposite superlative as the smallest breed of horse in the world. Clydesdales, Percherons, Belgians, Suffolks and the largest breed of horse, the Shire, all belong to the draft horse group. Draft horses are gentle giants that are employed to pull heavily loaded plows or carts. The Shire originated in England and was developed in the 1800s. 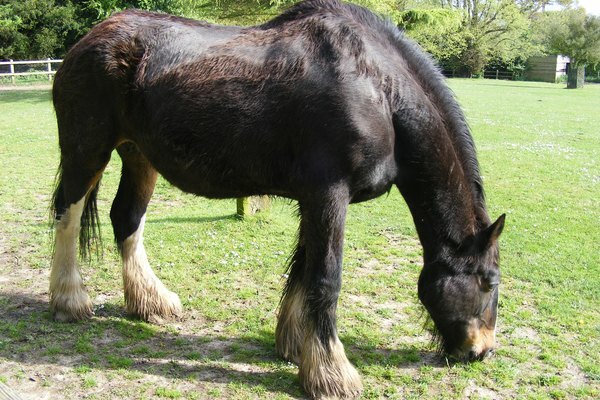 The massive horse stands between 5 and 6 feet tall, and a Shire stallion can weigh more than 2,000 pounds. Like the Clydesdale, the Shire’s legs display long, feathered hair. Shire horses come in bay, roan, black, chestnut, gray or brown with white markings. The Shire has a mellow disposition and is less active than some other horse breeds. Shire horses still are used for draft work. They are formidable competitors in riding, carriage driving and dressage events. The other end of the size spectrum harbors several small horse breeds, including the familiar Shetland pony. 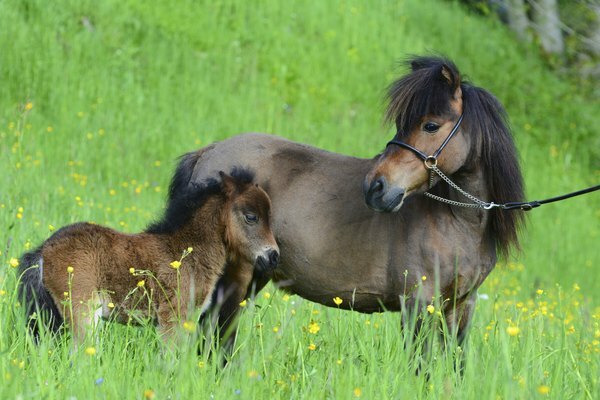 The Falabella miniature horse is a rare and unique breed that originated in Argentina, where Juan Falabella and his son, Julio, selectively crossbred the Shetland pony and other small horses over several generations to produce the smallest breed of horse by the mid-1900s. The result stands between 24 and 34 inches tall. The Falabella has a gentle disposition, and this mighty miniature possesses surprising strength and resilience. Falabellas come in various pinto and appaloosa patterns as well as any solid color. Falabellas are popular choices for carriage driving, may be ridden by small children and make lovable companion pets. American Shire Horse Association: What Is a Shire?